I am so excited to introduce you to some great new home care specialty cleaning products from Seventh Generation that we are loving in our house! Seventh Generation's three new specialty cleaners include a wood cleaner, granite & stone cleaner, and a stainless steel cleaner. All of these specialty cleaners are made from non-toxic, biodegradable formulas! 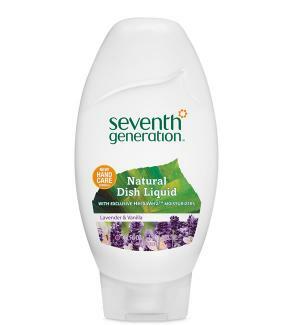 We have also loved having the Seventh Generation Dish Soap and Laundry Detergent Packs in our home. Not only are these products good for the earth and safe for your family to use, but they are also effective at cleaning! Read on for our full review of these fabulous new Seventh Generation cleaning products and also their. You can also enter to win a pack of Seventh Generation Cleaning Supplies here through November 11, 2012. First of all, we tried out the granite cleaner in my aunt's newly remodeled kitchen after a long day of canning apples. The counters were sticky all over and had been that way for hours as we canned 36 quarts of applesauce. By the end of canning, we were exhausted. 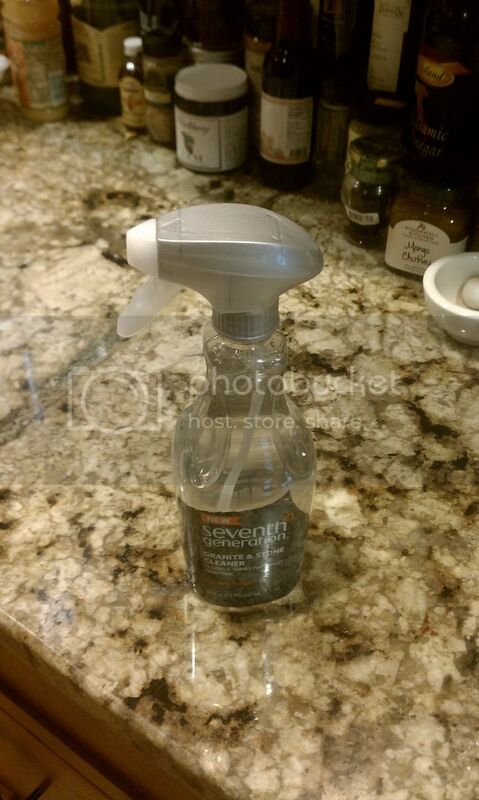 The Seventh Generation Granite Cleaner was easy to use and smelled fresh and clean. There were no overwhelming chemical smells or any residue left on the counters. The directions on the spray say that buffing after wiping will give the best results and I found this to be true. I went back over my work with a dry cloth and all the streaks were gone in moments. I thought the counters truly looked wonderful! At home, I went to work on cleaning our stainless steel sinks. 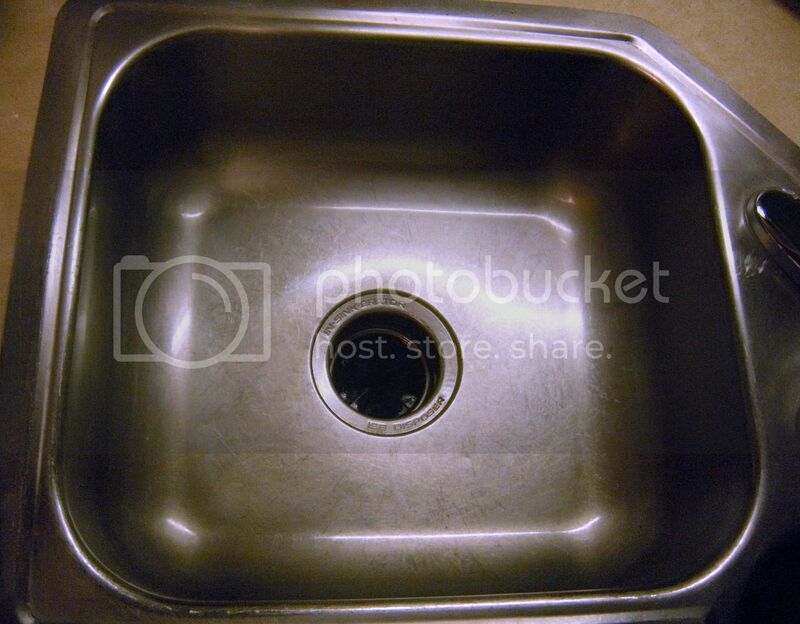 (Did you know that your kitchen sink is one of the dirtiest places in the home? Yikes!) It's great to know that there's a specific cleaner out there that is formulated to clean stainless steel and make it look its best. We went from having crumb-filled, spotty, slimy sinks, to having polished, clean, and good-smelling sinks in less than 5 minutes. The smell, again, with the cleaner is very mild and appealing. This is because the new line of home care products are made with a unique blend of plant-based ingredients and organic coconut oil to make sure that the cleaner is all-natural and contains no harsh fumes. Buffing our sink with a dry cloth got rid of all streaks, and the sinks really seem to have stayed cleaner looking longer than usual! The formula is designed to repel dirt and fingerprints! My 4 year old son was jumping up and down hoping he could help me try out our new seventh generation cleaners,. Normally I wouldn't let him help with cleaning that required a cleaning spray, but with the Seventh Generation Cleaners, I felt safe letting my son help me use them. After spraying down our kitchen table, we wiped the area with rags. The food lifted off the table so quickly and easily! 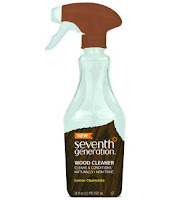 I was really impressed with how easy it was to clean or kitchen table with the Seventh Generation Wood Cleanser. 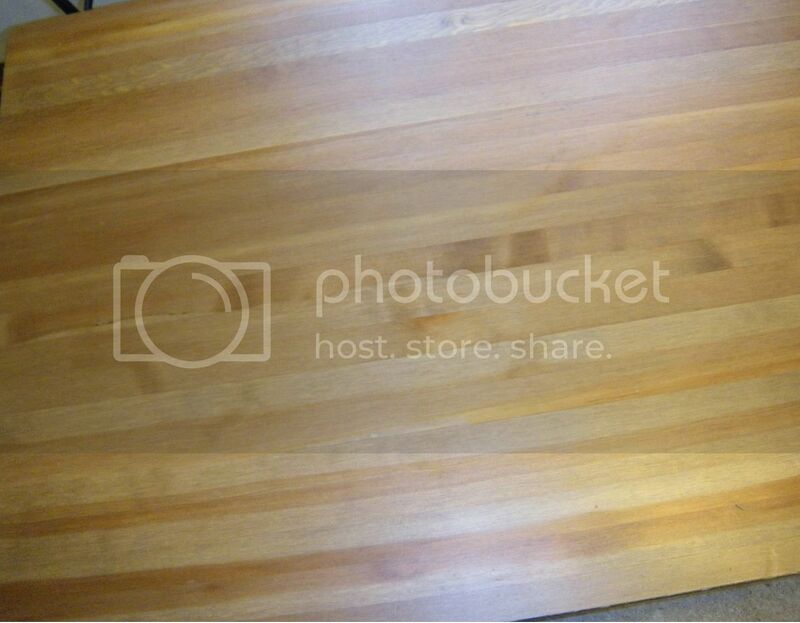 Here are the before and after pictures of our kitchen table. You can see the obvious white goo on the upper left hand corner is gone. 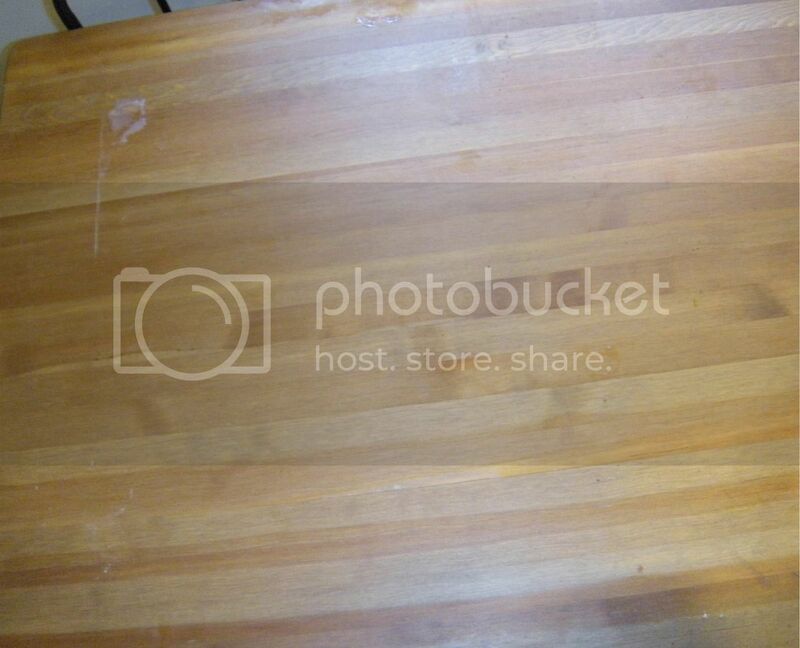 In addition, all of the spots and sticky hand prints from the edges of the table got wiped away! 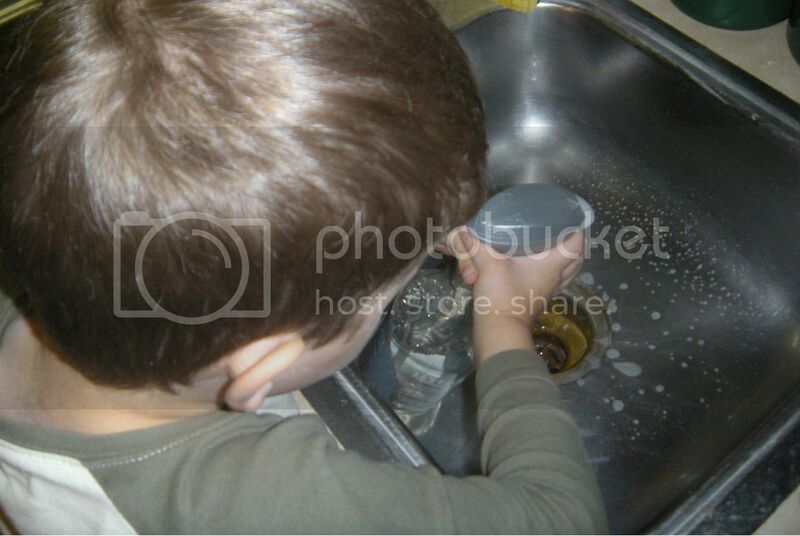 We have also been using a lot of the Hand Care Dish Liquid to wash our hand-wash only products in our home. My husband says it cleans just like other name-brand dish soaps, and he says that is a good thing. It's always comforting when your green products clean just as well as other typical cleaning products! It means that you don't have to sacrifice saving the earth or getting your dishes clean. I really felt like the soap has been gentle on my hands and my mom says she likes how thick the soap is. I also love to no-spill clean-close cap, that just snaps back in place as you set the bottle down on the counter. And finally, we have also been enjoying the laundry packs. Honestly, these I was the most skeptical about. I had always thought that laundry packs were unnecessary, but now that I have used them, I am in love with them! The laundry packs are so easy to toss into a load of laundry. They are truly a pleasure to use--and my clothes are coming out of the washer clean and fresh from both hot and clod washes. It's nice to know that there are no harsh chemicals on our clothes, and especially not on our kids' clothes. An added benefit of the laundry pods is that they automatically regulate how much detergent you use. Most people use too much detergent, which is a money waster and doesn't really get the clothes cleaner. Using the laundry packs has made "measuring" the amount of laundry detergent incredibly easy: one pack or two! I seriously cannot believe how much I am enjoying these laundry packs right now. Overall, I definitely recommend these Seventh Generation products because they work--they really do the cleaning that they say they will do! 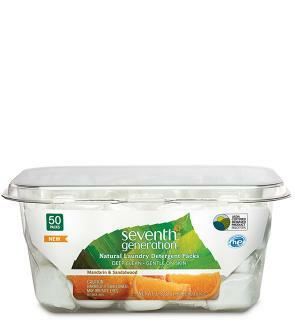 I also feel that Seventh Generation is a great company that really strives to protect human health and the environment.